Terrapin Mountain Variety Pack, Gift Sets: Southern Flavoring Company, Inc. 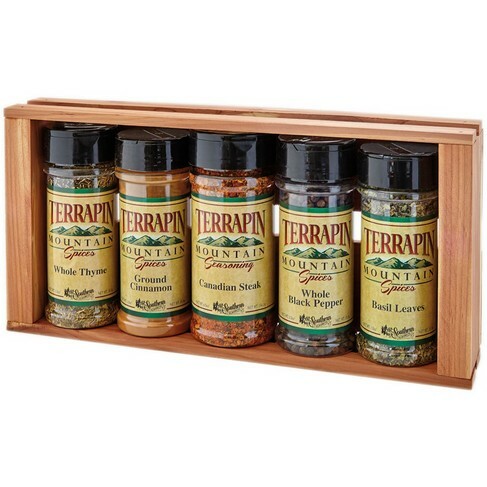 In our Terrapin Mountain Variety Pack, you'll find fragrant Basil, sweet Cinnamon, spicy fresh Peppercorns, savory Thyme and simply delectable Canadian-style Steak Seasoning. It's the ultimate combination of spices and flavors that are a must for any pantry!